EAP and our affiliates (“EAP,” “us,” “we”) respect your online privacy. This Website Privacy Notice describes the types of personal information we collect about you when you visit our websites, blogs or apps, how we use that information, with whom we may share it, and the choices available to you regarding our use and sharing of personal information. By visiting and using our websites, and using our Services (as defined in our Terms of Service), and by providing us with personal and other information in association with your use of our websites, you agree to the terms and conditions set forth in this Privacy Notice. This Privacy Notice is incorporated in our Terms of Service. Capitalized terms not otherwise defined herein have the meanings provided in the Terms of Service. If you consent to its collection, the geolocation of your mobile device(s) used to access the Mobile Applications;From time to time, we may also ask you to consider participating in marketing surveys to help us improve our products and Services. If you choose to participate in our surveys, you will be asked to provide general demographic information or feedback. Your participation in our surveys is always voluntary. If you do not wish to share your demographic information or feedback with us, you do not have to. If you do participate, we may use your responses, together with other responses we receive, to evaluate and improve our sites, services, and products. We will never publicly disclose your survey responses in a manner that will divulge your personal information or link your responses to you. You may be able to control the settings of your device or browser to stop accepting all or certain types of cookies, or to prompt you before accepting a cookie from the websites you visit. If you set your device or browser to reject cookies, parts of our Sites may not work for you. Please note, depending on your type of device or browser, it may not be possible to delete or disable all tracking mechanisms on your device. The only way to completely “opt out” of the collection of any information through cookies or other tracking technology is to actively manage the settings on your device and/or browser to delete and disable cookies and other tracking/recording tools. (To learn more about cookies, beacons and related tracking technologies, visit allaboutcookies.org). The information we and our partners obtain using these automated technologies helps us remember your information so you will not have to re-enter it; track and understand how you use and interact with our Services; tailor the Services around your preferences; measure the usability of our Services and the effectiveness of our communications; and otherwise manage and enhance our Services, including to help ensure they are working properly. We are committed to protecting the security of your personal information. We maintain commercially reasonable administrative, technical and physical safeguards to help protect your personal information from unauthorized access, use, or disclosure. For example, we store the personal information you provide on computer systems with limited access, which are located in controlled facilities. However, no security system is impenetrable and we cannot guarantee the security of our website, nor can we guarantee that the information you supply will not be intercepted while being transmitted to us over the Internet, and we are not liable for the illegal acts of third parties such as criminal hackers. When we transmit highly confidential information (such as a credit card number or password) over the Internet, we protect it through the use of encryption, such as the Secure Socket Layer (SSL) protocol. Likewise, any of our third-party vendors with access to your information are required to take similar steps to protect the security of your information. Nevertheless, no method of transmission over the Internet or method of electronic data storage is 100% secure. Consequently, while EAP strives to use commercially reasonable means to protect your information, we cannot guarantee its absolute security. We remind you always to exercise discretion when you share information over the Internet. Except as described in this Privacy Notice, we will not disclose your personal information outside of EAP without your consent. We occasionally hire other companies to provide limited services on our behalf, such as handling the processing and delivery of mailings, providing customer support, hosting our sites, blogs or applications, processing transactions and payments, or performing statistical analysis of the Services by you and other users. We also may share personal information with our business partners with whom we jointly offer products and services, and to the extent you connect to third-party products or services within or through the Services. Those service providers and business partners with whom we share your information will be permitted to obtain only the personal information they need to deliver the services they perform for us. They are required to maintain the confidentiality of the information and are prohibited from using it for any other purpose. However, some of our third-party vendors may use anonymized aggregate data to improve their services. For example, with regard to credit card processing services, our fraud detection vendors may use aggregate data to help them more accurately detect fraudulent uses of credit cards. We may access or disclose your personal information, including the content of your communications: (a) to comply with the law or legal process (such as a subpoena), or to respond to lawful requests of government agencies; (b) to establish, exercise or defend our legal rights; (c) in connection with an investigation of suspected or actual illegal activity; (d) to protect the rights or property of EAP or our customers, including the enforcement of our agreements or policies governing your use of the services; (e) acting on a good faith belief that such access or disclosure is necessary to protect the personal safety of EAP’s employees, customers, or the public; (f) as part of a corporate transaction such as a merger or sale of assets, in which case, this Privacy Notice will continue to apply unless and until the surviving entity or transferee changes it in compliance with its terms; or (g) otherwise with your consent. You might have the ability to view or edit your personal information via the Services. In order to help prevent your personal information from being viewed by others, you will be required to sign in with your credentials (User ID and/or e-mail address, and password). You can access and update your information by logging into your account. Some personal information that is collected may not be accessible and/or editable via your account webpage. However, in such cases, you may be able to access that information through alternative means of access described by the Services. Or, you may also contact us by phone at (800) 327-6623 (Monday through Friday, 8 a.m. – 6 p.m. Mountain time) or by e-mail at [email protected]. EAP is committed to protecting the privacy needs of children and we encourage parents and guardians to take an active role in their children’s online activities. We do not target our Services to children less than thirteen (13) years of age, nor do we knowingly collect information from such children for the purpose of selling products or services. If you believe we may have received personal information from a child less than 13 years of age, please contact us immediately. EAP is concerned about controlling unsolicited commercial e-mail, or “spam.” We will not sell, lease or rent our e-mail subscriber lists to third parties. While we continue to actively review and implement new technology, such as expanded filtering features, there is no currently available technology that will totally prevent the sending and receiving of unsolicited e-mail. Using junk e-mail tools and being cautious about the sharing of your e-mail address while online will help reduce the amount of unsolicited e-mail you receive. 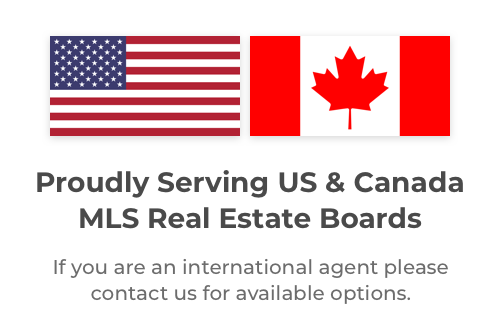 Our sites are hosted in the United States of America (“USA”). If you are located outside of the USA, please be aware that the laws in your location governing the collection and use of your personal information may differ from applicable laws in the USA. If you do visit our sites or use the Services, or otherwise share your personal information with us, please note that you are voluntarily transferring your information to the USA, that you consent to that transfer, that you agree to be bound by this Privacy Notice and our Terms of Service, and that you agree to waive, to the fullest extent permitted by law, any other rights or protections you may have under the laws of your location or any other jurisdiction outside of the USA. Please note that this privacy notice may change from time to time. We will provide notice of any changes on the website or by contacting you. We encourage you to periodically review this policy to be informed of how we are collecting, using, sharing and protecting your information.